Thursday mornings are spent in the level 5 simulation clinic, where tooth conservation is the main game. 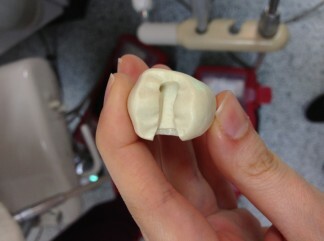 We spend hours upon hours drilling cavity preparations (tiny little shapes) into plastic teeth until we get it right! 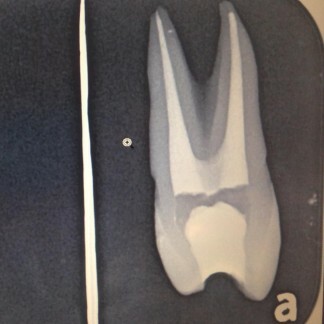 We learn that in dentistry, 1mm can be the difference between an excellent and a horrible preparation. Endodontics follows on Thursday afternoon. And most of the time, it is one large panic attack! We mount real extracted teeth into wax gums and place them into a plastic dummy head, where we begin the tedious search for root canals! In these sessions, we learn the fine motor skills needed to root fill teeth and how to differentiate a live tooth from a dead one. 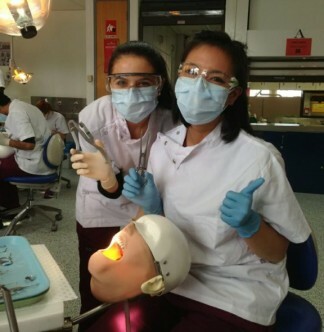 Friday mornings are spent at Westmead Dental Hospital in the occlusion laboratories. Here we take impressions of each other’s teeth and use them to assess the way our teeth occlude (or how we bite). We learn how to correct any abnormalities in a patient’s bite. And finally, on Friday afternoon, we rest (or in most cases beginning the arduous process of revising all that was learnt over the week)! I warned you, the life of a dental student really is busy, but also extremely satisfying. That’s all from me for now! Hope to see you all soon at Seymour Dental!